There are thousands of men and women in contemporary Indian Society working unseen and unsung for its greater good and development. Late Shri. Manmohan Agarwal, an eminent businessman and philanthropist of Ramnagar was one such iconic personality who bestrode the world stage and set up benchmark in educational institution, particularly in Kumaon Regions. 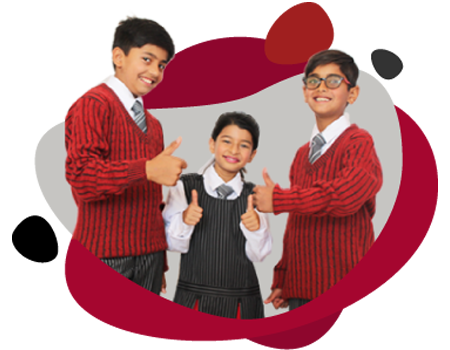 Thus The Manmohan Educational Society was formed and it established G D Goenka International School in 2004 as a fully Residential Co-educational School affiliated to the CBSE, New Delhi with separate hostels for Boys & Girls. The Chairman of the school Mr. Neeraj Agarwal has always empowered the leadership team to make the school a center of excellence for holistic child growth, through embedding the Indian culture, global values & standards in the system. In his endeavor to do so he joined hands with G D Goenka Group of schools in 2018 and created a world class educational opportunity in the peaceful, safe & ideal lush green hill campus at Naukuchiatal, Nainital District in Uttrakhand, India. GDGISN offers a grandstand view of the surrounding and towering densely foliaged hills point and a breathtaking view of the Naukuchiatal Lake below. GDGISN is one of the Top 10 boarding- residential Schools with Co-Educational environment in India. This campus offers to be the only true international boarding school is the hills of Nainital. We provide holistic education of the mind (through academics), body (through physical education) and the spirit (through club activities and value education).